We’d be the first to admit that this roof wasn’t the most straightforward project! But we have the experience and the equipment to tackle even the most complex roofing challenges successfully. 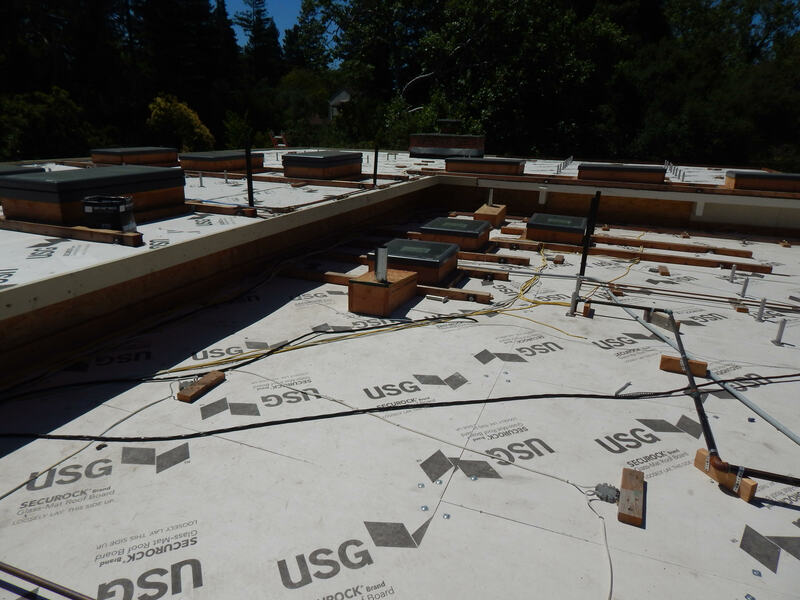 We recently went to the South Bay to put a new spray foam roof on a Saratoga home going through a gut renovation. Everything was getting replaced—floors, bathrooms, cabinets, electrical system, and the roof, of course. Primarily, this was a custom home project, and it would need a custom roof. The architectural plans called for 15 skylights of varying sizes and a solar panel system. 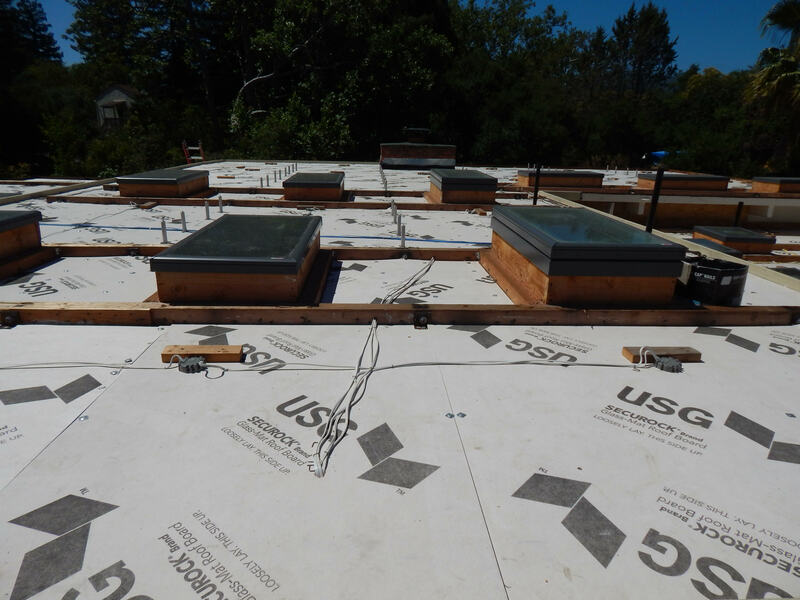 This home didn’t have an attic or upper-level crawlspace, so things like the electrical cables and gas lines would be sitting on top of the roof as well. 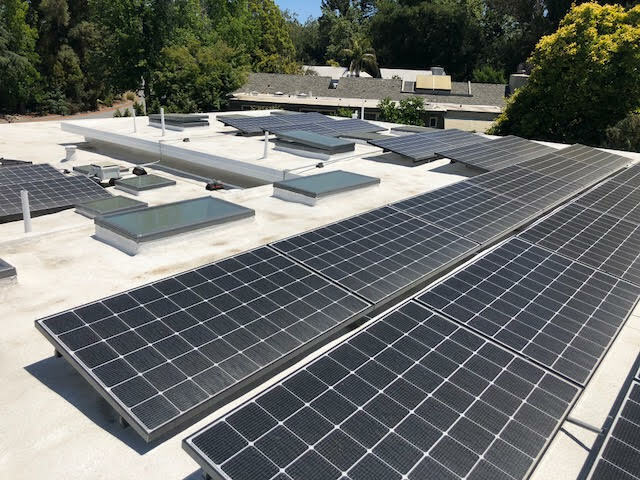 Because of the extensive renovations, the permits required that the new design meet higher energy standards than when the home was built in the 1960s. 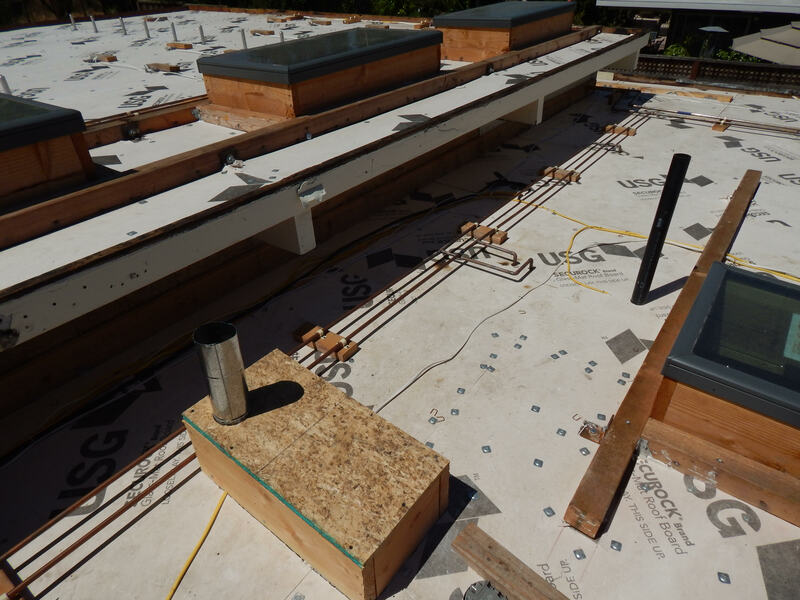 The spray foam had to be 5 inches thick—more than double the typical amount—to meet the insulation requirements for this project. 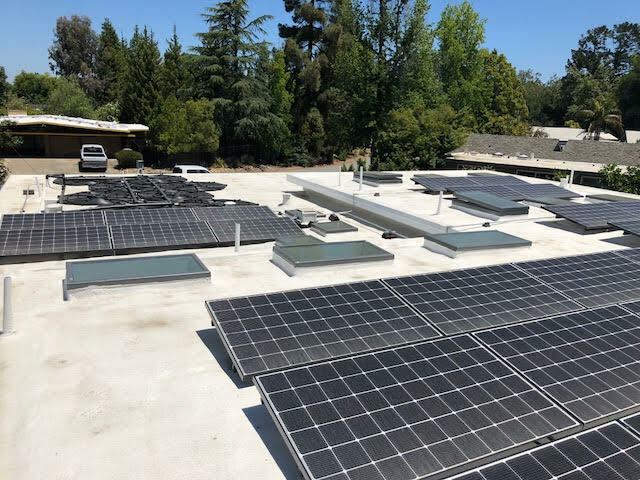 Given the complexities of the roof’s design and the higher energy efficiency standards required, most roofing companies wouldn’t even touch this project. But we like a good challenge! 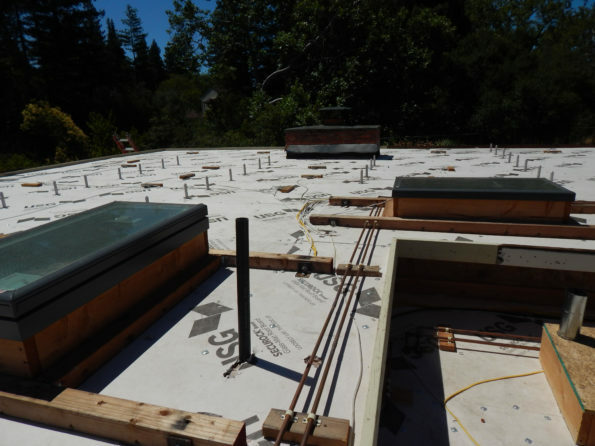 We applied the spray foam carefully around the new skylights and the solar panel mounts. We also had to use 5 inches of spray foam to cover those exposed cables and pipes. 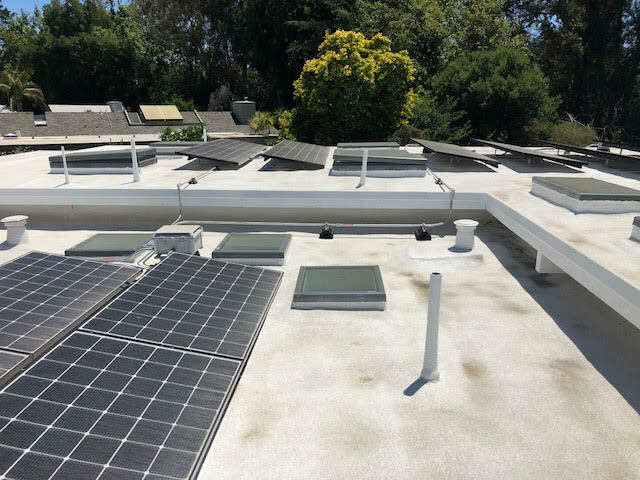 In the end, the clients had a very energy efficient home and got to enjoy the benefits of their new skylights and solar panels.